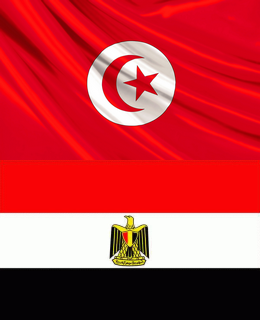 An Egyptian ‘Solution’ for Tunisia? The appeal also had an impact in Tunisia. “What is happening in Egypt feeds our hopes and could have an influence on Tunisia, because the common enemy is the Muslim Brotherhood,” said Basma Khalfaoui, widow of Chokri Balaid, the leader of the Popular Front assassinated last February (il manifesto, July 23). And she concluded: “What happened in Egypt is not a coup, it is the continuation of the revolution” … at the hands of the military caste trained and financed by the U.S., which had propped up the regime of Hosni Mubarak for more than 30 years; then guided the “peaceful transition” when a popular uprising toppled Mubarak; then the rise of Morsi to the presidency to neutralize the secular forces, and finally pushing out Morsi when the secular opposition rose up against him. Faced with the bloody crackdown in Cairo, the White House has diplomatically declared that it had “no legal obligation to determine whether the Egyptian military has made a coup to oust President Morsi,” a formula that allows the U.S. to continue to provide Cairo military aid of $1.5 billion per year, thus continuing to strengthen the military caste, the main lever of U.S. and Western influence in Egypt. As is also the Tunisian military. Tunisia — according to U.S. Embassy documents — is a “long-time strategic ally of the United States,” which has trained, instructed and equipped its armed forces. This is confirmed by the fact that it is “one of the few countries in the world that has cadets in all the military academies of the United States,” where about 5,000 senior Tunisian officers received training. This military caste also had French training, after having supported the dictator Zine al-Abidine Ben Ali, who they unofficially ousted when he had already been overthrown by a popular uprising. Today, as the clash between the Islamists and the secular parties grows sharper, there is in the Tunisian left those who appeal to this military caste for a “solution” of Egyptian type, i.e., an armed intervention against the Islamic party, “the common enemy.” This is a suicidal position. This is demonstrated by what happened in Egypt, where powerful external and internal forces opposed to the revolution favored the split of the popular movement that toppled the Mubarak dictatorship, with the result that today the impoverished Islamic masses clash with the impoverished secular masses. This works all to the advantage of the military caste, which strengthened its position and also those of the [imperialist] powers, primarily the United States, which have subjected Egypt to their political, strategic and economic interests. This works completely to the advantage of Israel, as it reinforces its siege of Gaza: The Egyptian military have destroyed or closed about 80 percent of the tunnel [between Egypt and Gaza], vital for the supply of food and fuel and thus for the survival of the Palestinian population. And while, in the wake of the U.S., the European Union enrolled the military wing of Islamic Lebanese Hezbollah on the list of “terrorist organizations,” Islamic terrorist groups continue to be infiltrated in Syria by the U.S. and its European allies. And someone on the left also defines this as a “revolution.” Nonsense.